Black, Clear, White, or Grey &ndash; Now you can order a sample print in a material of your choice. Black, our newest resin, is ideal for models with delicate features and fine details. For those who need optically translucent qualities for their print, Clear is the way to go. With some sanding and polishing, internal channels can become visible. White makes a clean canvas for painting or other surface finishes, making it a firm favorite with artists and designers. 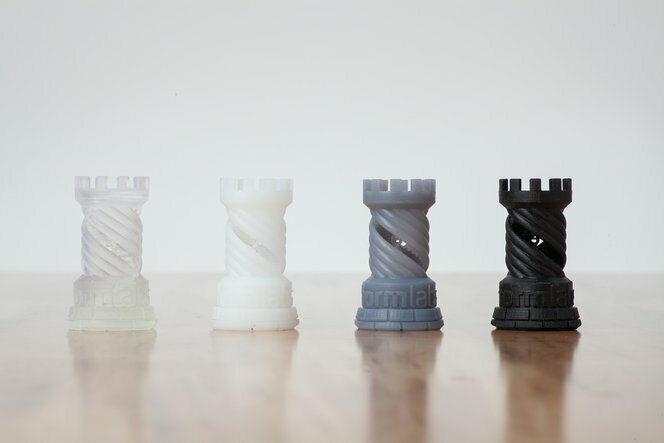 Grey is great for rapid prototyping, and the color shows detail well. Request a sample print today!